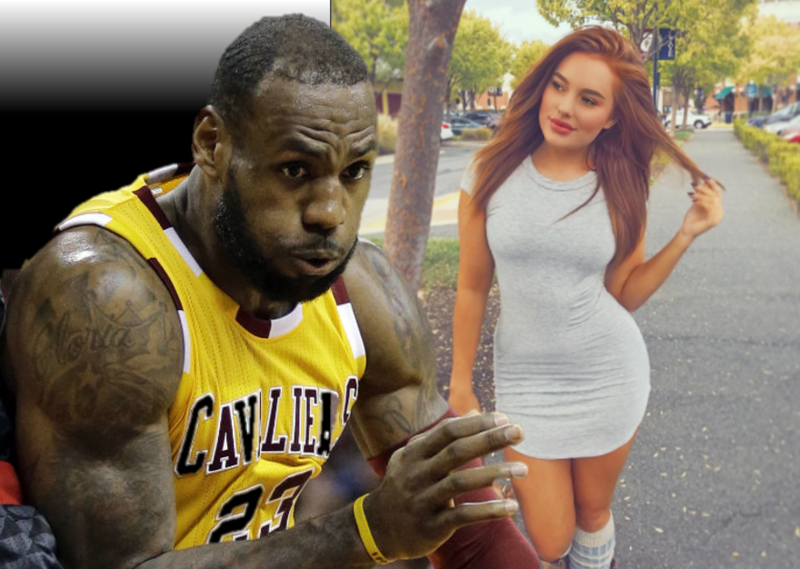 WATCH: Instagram Girl, “Heidi Hoback” Further Exposes Lebron James Who Recently Got Caught In Her DM’s, Creates Video Proving the DM was from LBJ and Clears Her Name….Sort of. (VIDEO & PHOTOS) - T.V.S.T. First of all that’s really her real name. People have been having fun with that all weekend. 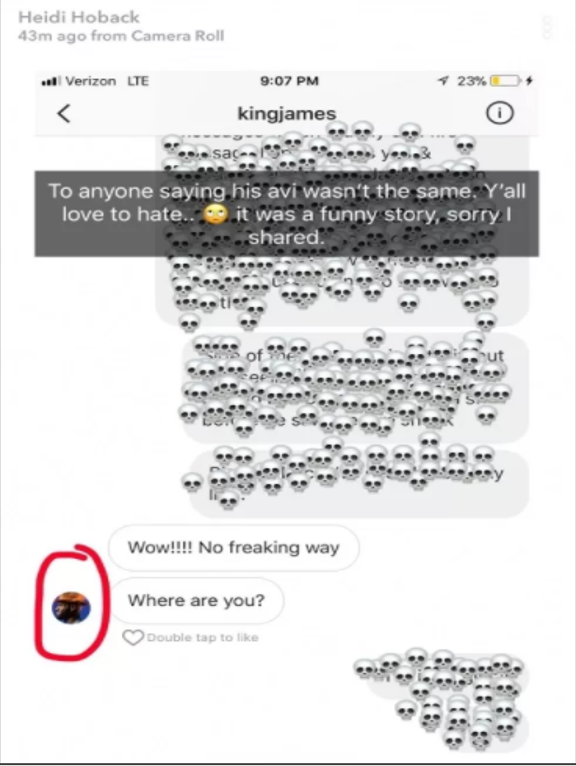 If you don’t know the story, basically Lebron slid into her direct messages, and she snapped about it and of course it went viral. She showed the messages below and of gossip sites took it and ran with it. Heidi had to make the video on Youtube because she was being called a racist. 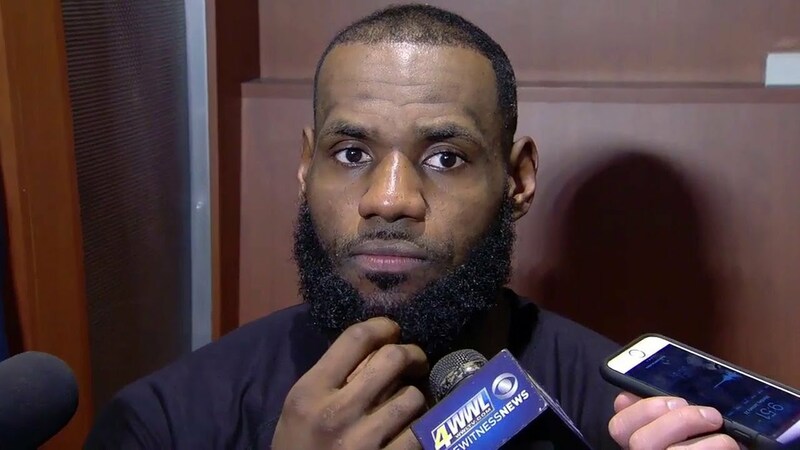 Although she showed the skulls blocking out the conversation she had with Lebron, the reference of “Big Buck” was taken out of context. She was referring to (so she says) a huge buck that she saw while she was DM’ing Lebron. Here is her video. 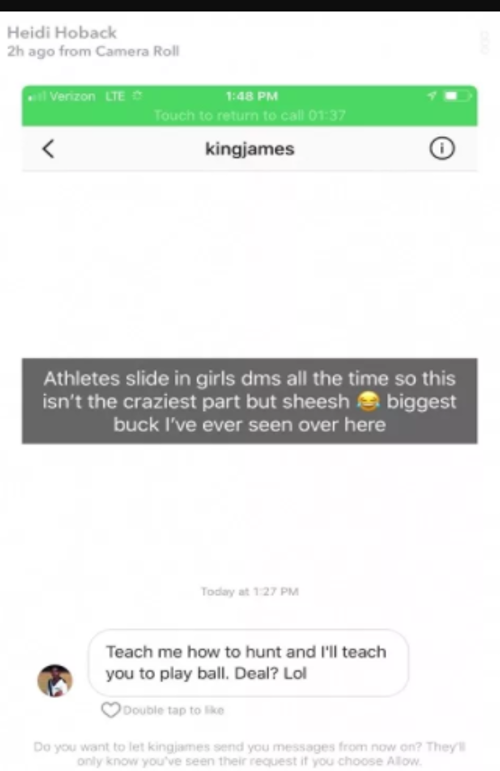 At the end of her little explanation, she proves that the DM was really from Lebron. I’m sure your wife Savannah is putting you through hell right now….then again probably not. 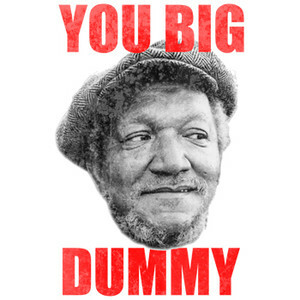 She’s probably more pissed that you were sloppy then the actual act itself. Next time, have your people reach out…but you already know that.